How the exterior of your house looks determines and portrays what kind of person you are. The right paint job will ensure that the exterior of your house has a fresh and attractive look. 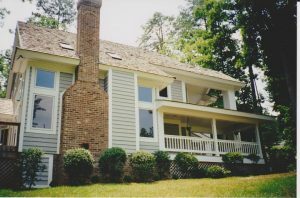 There are numerous reasons as to why you should paint the exterior of your house. The following is a list of important reasons which detail why and when you should paint the outside of your house. The first and most obvious reason is that, paint gives your house an appealing appearance. A well painted exterior will give a good first impression to visitors and prospective buyers. A coat of paint helps protect the exterior of house from environmental factors such as snow, frost, sleet, and rain which may penetrate and cause cracking, flaking and peeling on the walls . Humid surfaces provide breeding conditions for mildew, and rot on wood. To increase the value of your property, a well painted exterior would be a good start. Interested buyers will consider your house if it is well painted and hence increase the resale value. House maintenance is a process that will never end. The cost of maintaining may be high especially when replacing rotten wood, and cracked surfaces. The expensive repair costs can be avoided by applying paint before it is too late. We all change our minds or get bored of seeing the same color every day. Changing the look by painting the exterior will ensure that you get rid of the old fashioned look. It will also let you try out the latest types of paints which can be even more effective than the ones applied before. When should you do exterior painting? To achieve a perfect finish of paint, you should consider the best time and weather to paint the outside of your house. Before you start painting, the surface should be prepared by scrapping off peeled paint if any, and applying several coats before the painting the final coat. Windy weather causes latex paint to dry quickly and prevent proper film formation. Wind can also carry dust which combines with wet paint and allows growth of mildew and ruins your paint job. Very hot or cold days are not suitable for painting. Direct sunlight prevents film formation while cold days causes the paint to take long to dry. Spring is therefore the most suitable season when painting the outside of your home. Employing professionals and buying the right paint will ensure quality paint job.